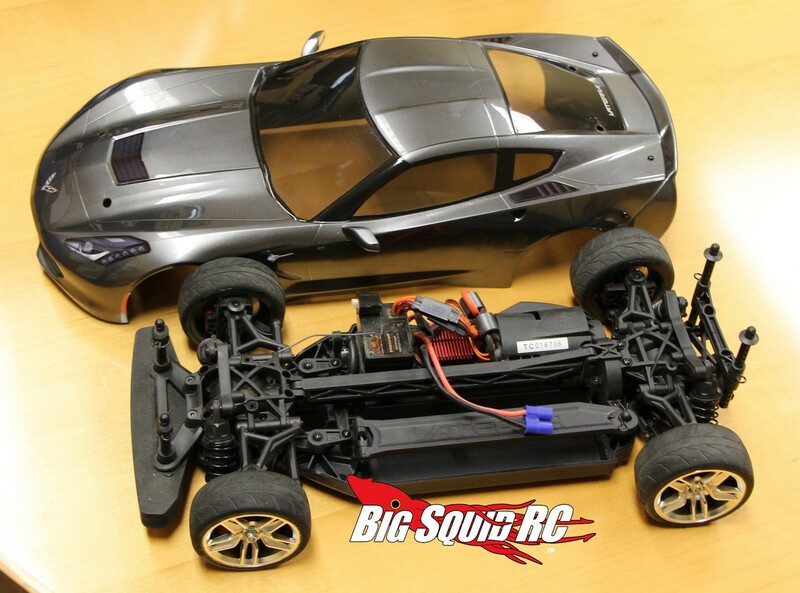 Hands on the New Vaterra 2014 Chevrolet Corvette Stingray Z51 1/10 RTR « Big Squid RC – RC Car and Truck News, Reviews, Videos, and More! What’s new and hot from the crew over at Vaterra? It’s a fully licensed 2014 Chevrolet Corvette Stingray Z51 and Vaterra was nice enough to let the BigSquidRC Bash Crew get an early hands-on look. 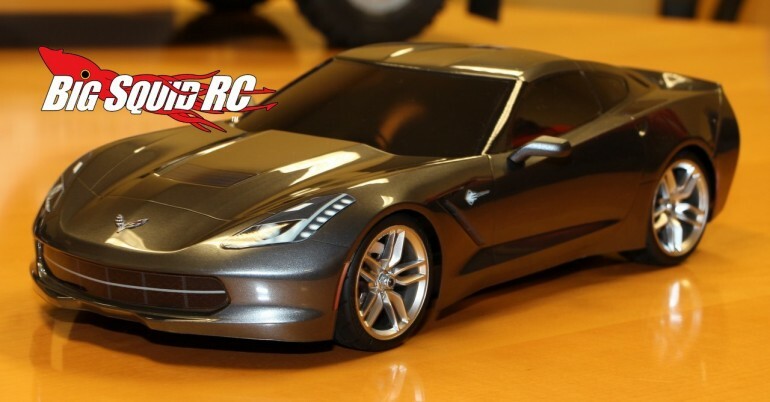 Vaterra is known for their incredibly detailed bodies and their 2014 Corvette is no different. The body is fully licensed by Chevrolet and is a real stunner to see in person. 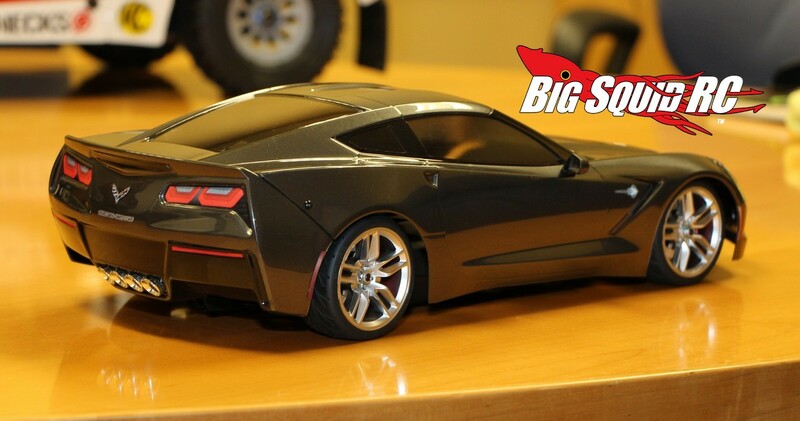 The wheels, tires, and brakes on the Stingray are also very sweet looking. If you plop one of these down at your local bash spot it is sure to turn some heads. Under the body is Vaterra’s workhorse V100-S 4wd platform that is known for being easy to drive and for its durability. The ’14 Stingray comes with an easy to drive 540 brushed power system, but of course is easily upgrade-able to extreme power levels. The latest Vaterra has a part number of #VTR03011 and they are street priced at $289. 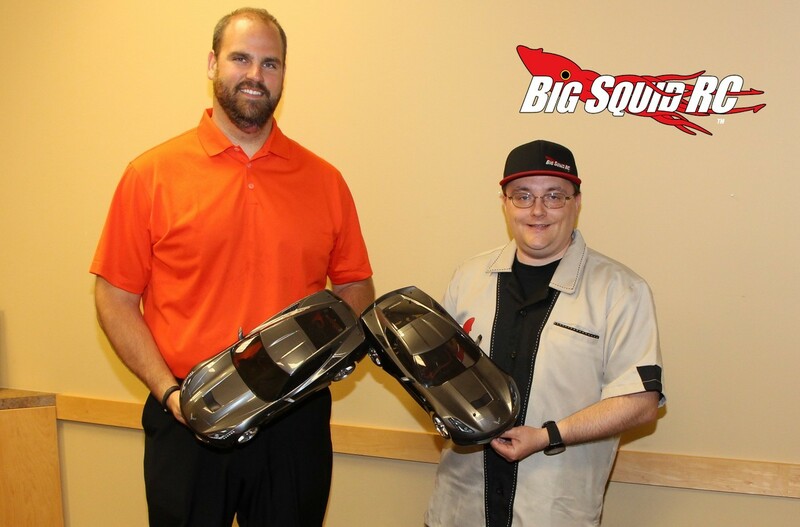 You can be one of the first to see it in person this weekend at the Bloomington Gold Corvette Show at the University of Illinois Campus in Urbana, Illinois. You can get more information on Vaterra at This Link on BigSquidRC.